Proper measurement is quite vital when spacing and planting tomatoes. Unless you’ve been doing it for years and deeply familiar with numerical or mathematical estimates, you are advise to use a few tools. In this case, you simply need basic ones, which include a ruler or a tape measure and optional paper and pencil. After knowing how far apart to plant tomatoes you need to measure. Tomato plants need to be at least 2 feet apart if it involves staking, while 3 feet apart if with cages. Without any support, between 24 and 36 inches up to 5 feet is required for the spacing. The application of spacing between tomatoes is crucial. It is somehow a part of its healthy production. That’s why it’s very helpful to familiarize these specific measurements. There’s a negative effect if tomatoes are planted less than 2 feet apart. First, air circulation is reduced which can greatly influence their growth. The lack of enough oxygen can lead to diseases and eventually the plants die. Now that we’ve just disclosed how far apart for plant tomatoes need, we also have to consider the variety. 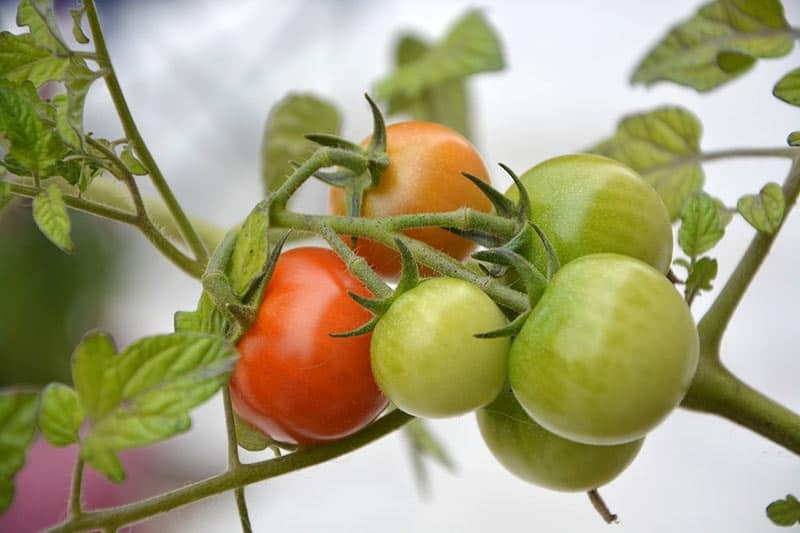 Tomatoes have two general varieties, which are determinate and indeterminate. Let’s take a look of their differences which relatively involve spacing. 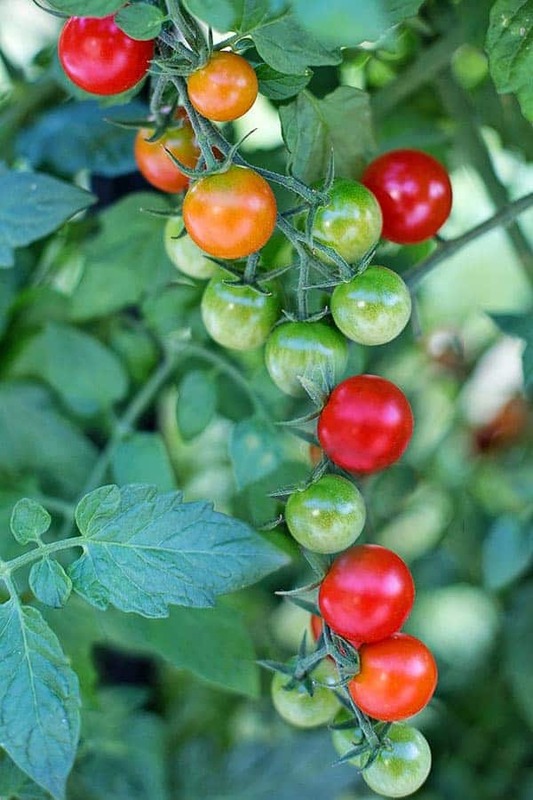 Also known as “vining” tomatoes, these plants, which include cherry and heirloom tomatoes, grow and continuously bear fruits until they die, usually by frost. This particular tomato plant initially grows from 6 to 10 feet high before transplanting. How far apart to plant tomatoes need is 3 feet at least since this variety grows really tall and during transplant it has to be 2 inches deeper than in the pot. You can use seeds or seedlings but thorough and regular watering is required. Experts suggest to plant seedlings during later afternoon. This is the best time as it helps prevent the plants from losing water from a dried or drying soil. Caged or staked, the spacing has to be between 24 and 30 inches or 2 to 2.5 feet apart. Between rows, it should be 30 to 42 inches apart. Although the use of support is more beneficial, some may find growing tomatoes that sprawl on the ground is a little less work. In terms of how far apart to plant tomatoes, you need to add mulch or a landscape fabric on the soil for extra protection against decay. And each plant needs to be 3 to 4 feet away from each other with rows between 4 and 5 feet apart. Determinate tomatoes are otherwise known as “bush” tomatoes. Some of the common determinate varieties are Celebrity, Marglobe, Roma, and Rutgers. They grow to a compact size of normally 4 feet and stop growing once the fruit has set on the top or terminal bud. Tomatoes from this variety are smaller so spacing is only 1 to 2 feet apart with a row spacing between 2 to 3 feet. Indeterminate or determinate, the bottom line is that you know how to space tomatoes. This is very important as it contributes to its proper growth, health and production. If the spacing is incorrect, then the plant is most likely going to grow unnaturally, have difficulty developing fruits, or worse die. 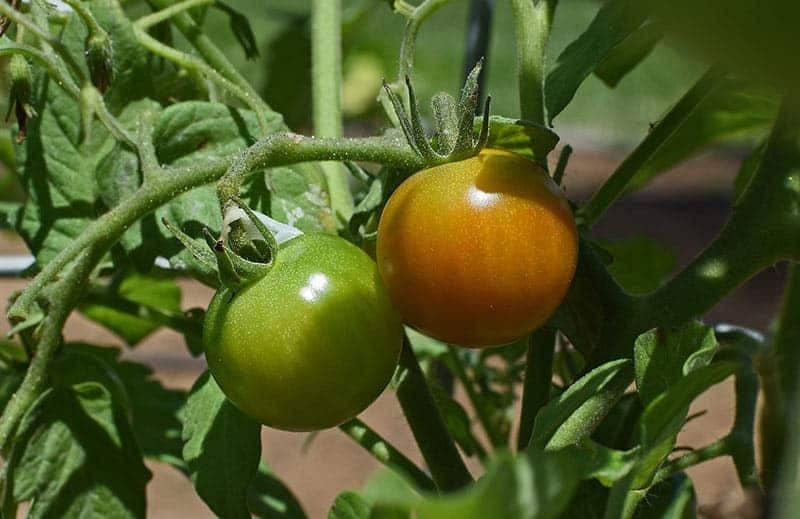 One sign of damage is when the tomato leaves turn yellow or brown. Read more here regarding why this happens other than spacing problem. So now you know the importance of spacing in tomatoes. 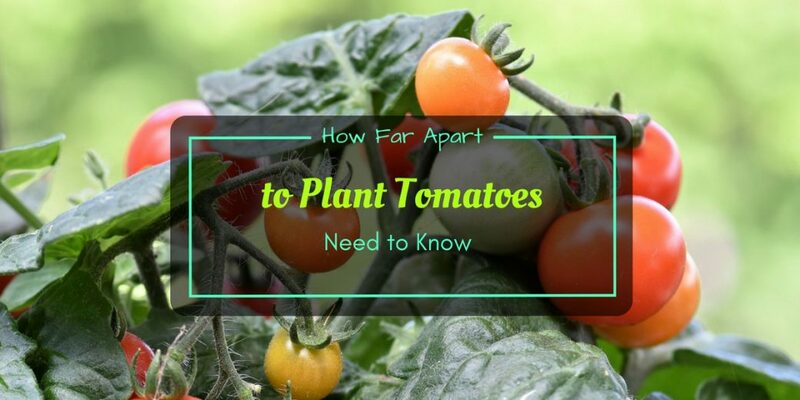 How far apart to plant tomatoes need proper measuring during initial planting and also in times of transplanting.